If you were a kid in the 1980s like me, 225 horsepower was exciting. While today that could mean a turbo four, back then it was a snarling V8 like the 5.0 in a Mustang. It still was good for mid-14s down the quarter mile, so it’s not as puny as it may appear, although the effort to get there was much greater than required from cars of today. Zero to 60 in 4.9 seconds. And the quarter-mile in 13.9. Even by today’s standards, the boosted Buick stands out. All of a sudden, smug Corvette owners began to know what it was like to experience fear. Yet despite the raves, Grand National sales did not shoot through the roof. When the 1987 version came along, horsepower was up by 10, but sales quadrupled based on the fact that this was to be the last year for the RWD Regal and, hence, the turbo Regal; this included the GN and all its variants (the turbo six was available in other Regal models, but always built in smaller numbers). To celebrate the GN’s swan song, Buick engineers concocted the GNX. Horsepower was kicked up to 276 horsepower, meaning mid-13 second sprints down the 1320 was no sweat. Alas, the GNX was created with the intention of the supply not meeting demand—only 500 were planned, but 547 were produced. Many buyers put them away in their garage, never driving them, so it is not difficult to find a GNX with no mileage like this one on eBay. Car #8 has been kept under cover in a private climate-controlled “museum” until the original owner’s recent passing. It sports all of its original crayon markings, paper suspension tags, and even the bar code sticker that never had time to burn off the catalytic converter. 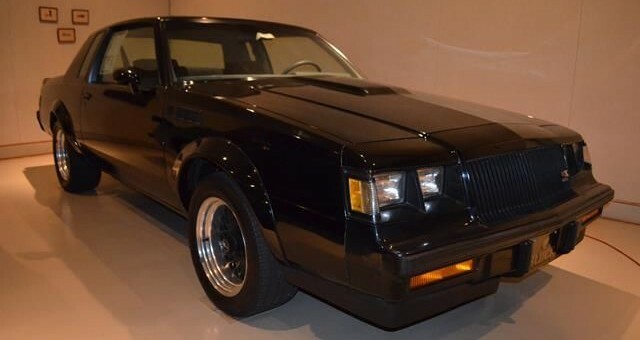 After 1987, the turbo six lived one more year in the 1989 Pontiac Trans Am Turbo, but it’s the GNX that is the king of the 1980’s muscle cars. And the price shows it. For car #8 is currently going for $124,900 with 19 days left to sell. Yeah those cease-fire vettes were toast. What a waste of time! That original owner never enjoyed running the GNX! The purpose of buying such a powerful vehicle is to run it, not keep it unused. His loss, someone else’s gain!! So you will say this about Jay Leno’s car collection? One day Jay will be dead too, and hopefully he has someone lined up to take care of his car collection and they don’t end up on ebay like this poor guy who died. I realize your post is almost a year old but hopefully you will see this. In reference to Jay Leno’s car collection, Jay drives almost ALL of his cars. Since he has so many, some may not be driven each year but if he feels he wants to drive one, he takes it out. ALL of his cars are in running order unless they are awaiting restoration. That is a big reason I think he’s a cool guy. He doesn’t baby them either unless they are fragile to begin with. Not sure what they cost new in 1987, but $15,000 invested in Microsoft stock in 1987 would be worth about $190,000,000 today. No climate control required, and no Ebay auction either. Cars go up in value, but are seldom if ever great investments. Yes, that’s 190 million, no typo. I’m original owner of my 1987 Turbo and I say the same thing all the time,better to invest your money than buy a car needs insurance upkeep. Failed to sell. only 3 offers, none were accepted. I guess $1,000 wasn’t serious enough and neither were subsequent bids. Take it to a freaking auction and not FLEA BAY if you are serious seller. Otherwise you’re just wasting time. still have buick 4 sale my friend ?